What’s the difference between semi private and private? 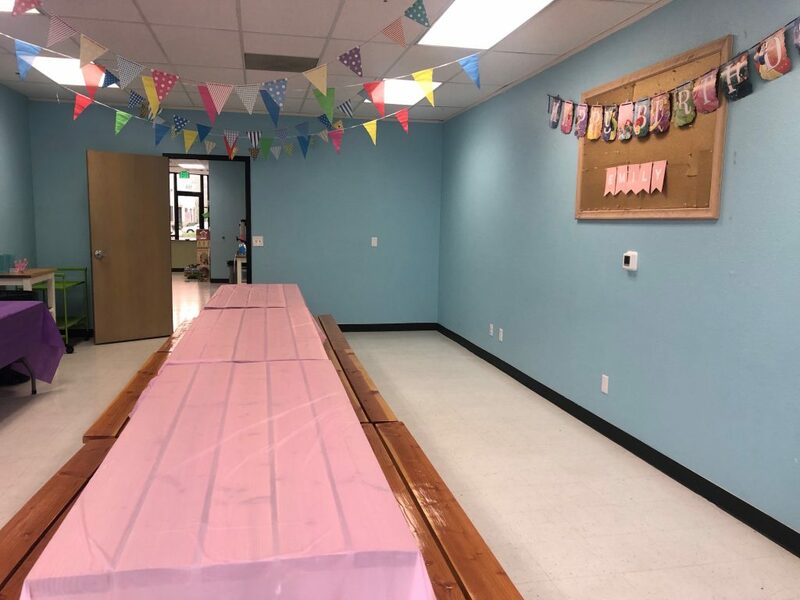 A semi private party means our play area is open to the general public, although you will still receive a private party room. Please note we do not allow semi private parties for more than 15 children. What ages are counted as children? We count all children ages 1-10 in our birthday party packages. Party packages include admission for 10 or 20 children. You can add on children to each package for $14. What is the capacity for adults? All attendees over the age of 10 are counted as adults. We ask that you keep it to 1-2 adults per child. For a party of 20 children we allow 40 adults. Additional adults are $1. Can I have more than 30 children at a party? We ask that each party has no more than 35 children for capacity reasons. Only private parties are allowed more than 15 children per party and the max of 35 children. What do you require for me to book? We’ll need a $100 retainer and an agreement to be signed. This can be done online, there is no need to come in. The rest of the payment is due the day of the party. During the winter it’s best to book 6 to 8 weeks in advance. During the spring and summer it’s best to book 4 to 6 weeks in advance. Yes. All our packages are bring your own food option. We just ask that it’s peanut free. Please also remember to bring extra plates, utensils and drinks if you plan to feed adults. We are not an accredited food facility so all party packages are bring your own food packages. Can I add on decorations to my package or a character appearance? Yes, we offer a variety of different activities and decoration add ons. We can do a little or a lot depending on your preference. You can read about our character appearances on our blog. 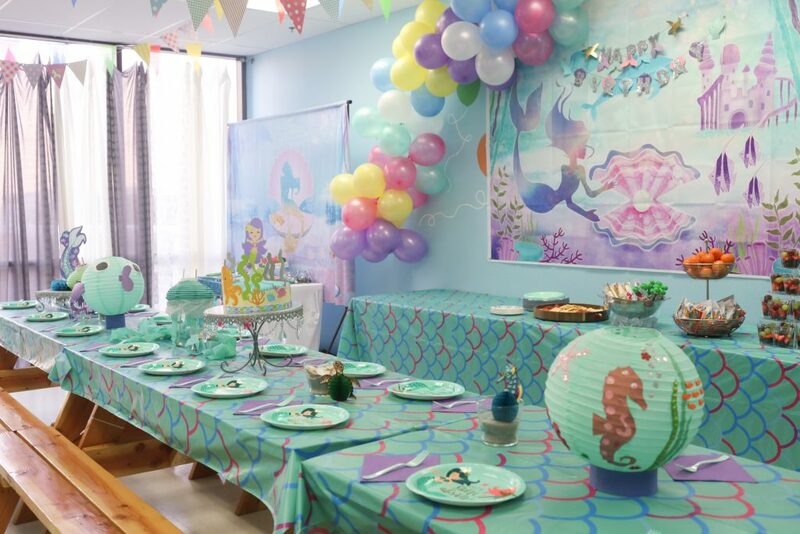 What is the difference between a standard party package, add on decorations and themed party? 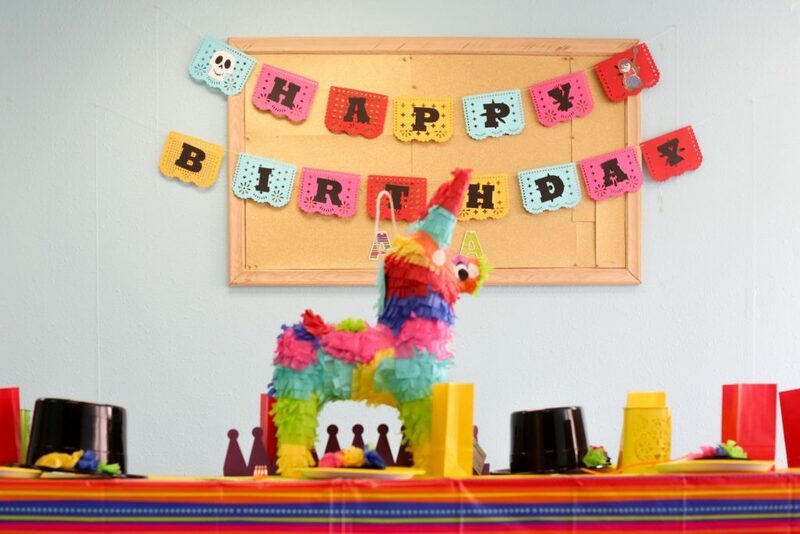 A stand party package will include table coverings and a generic happy birthday banner. If you wish to have a bit more you can add a small decor package for $25 dollars. Our themed party is the most stress-free. We do all the decorating, provide guided craft and game, you just bring the food. Please see below for sample pictures. Themed Party Package: We do all the decorating, you just bring the food. You can bring your own decorations. However, please be aware with most party package you’ll be only allowed into the facility 30 minutes prior to party start time to decorate. You can pay for extra time to decorate if you’ll like. What are in the goodie bags? We provide goodie bags with assorted novelty toys. Each bag will be filled with 4 toys that will fit all gender these can be basic items such as whistle, slappers, slinkys, etc. We also include stickers and depending on your package a voucher for a future visit. Our themed party package will include themed goodie bags catered to your party theme. How does party timing work? When do you clean up? Party timeline depends on the party package. An example timeline for a 2 hour party may look like this. 1st hour open play, Beginning of 2nd Hour food announcement, Food and Cake for 30 to 40 minutes, if there is left over time remaining your guest are welcome to come out and play until the party time is over. Party attendants are instructed to clean up the party room as soon as cake done to allow enough turnaround time for parties after. We’ll need a $100 non-refundable retainer and an agreement to be signed. This can be done online, there is no need to come in. The rest of the payment is due the day of the party. Upon event of cancellation retainer paid is non-refundable. However, monies may be transferred to a new date which is subject to availability. Pricing may change from date to date and a new agreement may need to be signed.